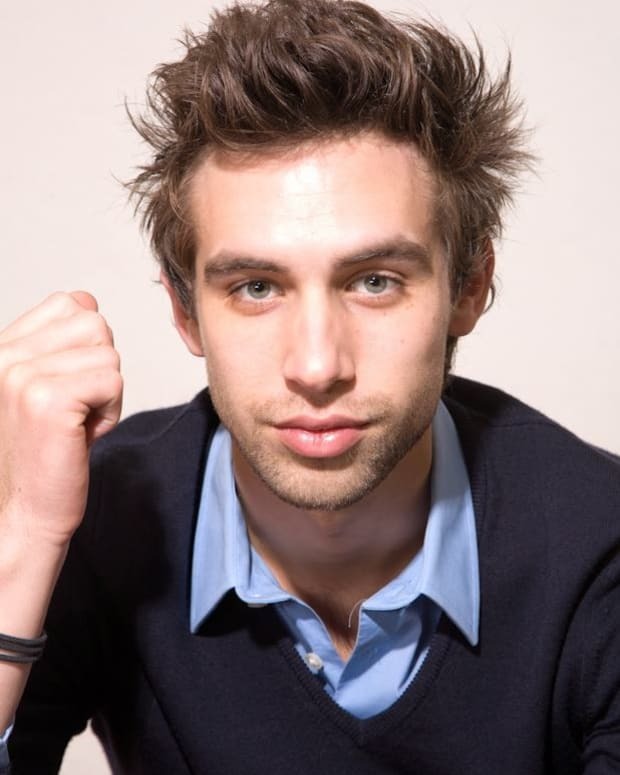 Co-Writer Blake Berris on Lifetime's I Killed My BFF: "It's Pretty Shocking"
As sociopath Nick Fallon on NBC&apos;s Days of Our Lives, Blake Berris learned an awful lot about getting away with murder. It&apos;s really no wonder cable network Lifetime tapped Berris and writing partner Danny Abel to script I Killed My BFF, which premieres tonight at 8/7c. I caught up with Berris to dish about his turn as a writer. Daytime Confidential: You&apos;re known for edgy performances in front of the camera. Tonight on Lifetime, fans will get a glimpse of what you can do behind the scenes. What can you tease about the movie you co-wrote, I Killed My BFF? Blake Berris: Danny and I really tried to get to the bottom of what made a Lifetime movie enjoyable. It&apos;s really all about having fun with the genre. In I Killed My BFF, you get two really different women, one a charismatic alpha and the other impressionable and bipolar. From the beginning, you know that one will kill the other but the movie keeps you guessing how it will go down. DC: Lifetime seems to be offering up a lot of juicy content these days, from reality TV-skewering Unreal, to a much talked about TV movie with Will Ferrell and Kristen Wiig. How does it feel to be in such esteemed company? BB: I think Lifetime is having a real Renaissance right now. Whatever Will Ferrell and Kristen Wiig are doing is bizarre and brilliant and I love that Lifetime is just going with it. Unreal is as well; I think it&apos;s a great premise. DC: I Killed My BFF is based on a true story. What kind of research did you and writing partner Danny Abel have to do to give the story its due? BB: We changed names and places in order to protect the families, but the real story is every bit as gruesome. Danny and I dug into all of the back stories: newspaper articles, footage, trial transcripts, all of it. It&apos;s pretty shocking, the extent to which this woman goes. This isn&apos;t a simple murder. It&apos;s shocking. DC: If the movie does well, could we see more projects from you and Danny on Lifetime, perhaps a primetime soap? You definitely have the fodder for one, thanks to your stints on Days of Our Lives! BB: Yeah, if it&apos;s a success, I think Danny and I are both open to writing more. We are working on a series concept as well. DC: Speaking of DAYS, the 50th Anniversary is coming up in November. Will the grave actually be able to hold Nick Fallon this time, or could he turn up to hang a bloody ornament on the Horton Christmpas tree? BB: It&apos;s amazing DAYS is having its 50th anniversary. Pretty mind-blowing and amazing that they won the Emmy on top of it this year.